Country Estate" home built in "2010". 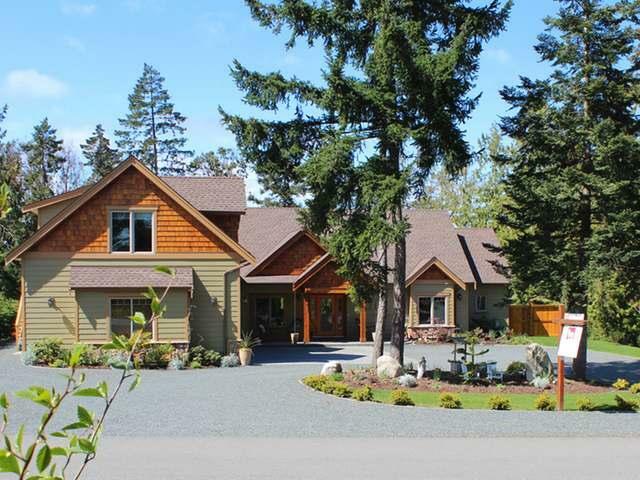 Nestled on 0.5 acre, this 3,000 sqft executive style rancher features 3 bedrooms plus a den, 3.5 bathrooms, inclusive of a spacious private in-law suite/bonus room above the oversized and heated 3 car garage/workshop. The home's interior enjoys a bright open floor plan with vaulted ceilings which extend from the foyer to the family room. The formal dining area and living room offer a double sided ambient gas fireplace. Beautiful custom cabinetry (alder) with coordinating oil rubbed bronze fixtures and flowing countertops complement this impressive gourmet kitchen. A solid maple countertop that graces the prep area that extends into a very functional butler's pantry. Multiple skylights allow the natural light to stream into all rooms on the main floor. The king sized master bedroom with a generous walk in closet, 5 piece ensuite with soaker tub, and dramatic shower space. 800 sqft private in-law suite above the garage.